As we head into 2017, you may be thinking that this is the year to finally put your house on the market. And when you do, you’ll want it to sell quickly for the best possible price. Here are our suggestions for what you need to do to get your home ready to sell. 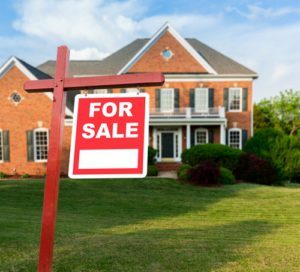 Selling your home can be fraught with emotions, especially if you associate it with some of your cherished family memories. But if you want to be successful, you’ll need to detach. Consciously decide to let go of your emotional attachment to the home, and think of it as a business transaction. Take the time you need to say goodbye, but then imagine a new family moving in so that you can look forward without regret. Today’s buyers have a never-ending supply of online resources to research before contacting an agent. Browsing photos of listings is easier than ever, and first impressions count. Make your home a stand out from the get-go by spending a weekend sprucing up the exterior. Clean up the yard, add some color with flowers and take photos when the light outside best accentuates the positive aspects of your home. In today’s market, most agents will tell you that staging is key for a quick sale and will help net you the best offers. In order to make your home look it’s best, you’re going to need to de-clutter and de-personalize every room. Now is the time to take down all your family photos, empty out the closets and remove bulky furniture. Renting a storage unit early gives you a place to keep all your belongings until your official move-out date. It also gives you a head start on packing, which is never a bad idea. Do you have a door handle that keeps falling off? A window that just won’t budge? Have you been covering up a hole in the wall with a strategically placed framed photo? You need to tackle these types of repairs before putting your home on the market. Not sure which repairs to do? Walk through your house and imagine you are a buyer. What things would stick out to you as potential problems? You should also address any larger issues that may come to light during a home inspection, such as problems with the air conditioning or heating systems. There isn’t a single buyer out there who will be turned on by pet odors or lingering cooking smells. Once you’ve moved your belongings to storage, do a deep clean of your entire home. Make sure to tackle any strong odors, and clean every nook and cranny. Remember, buyers will be opening every closet and cabinet door, so you can’t hide anything. If you can afford it, hire a professional cleaning service to get the job done right. It’s a small investment that could have a big payoff in the end.